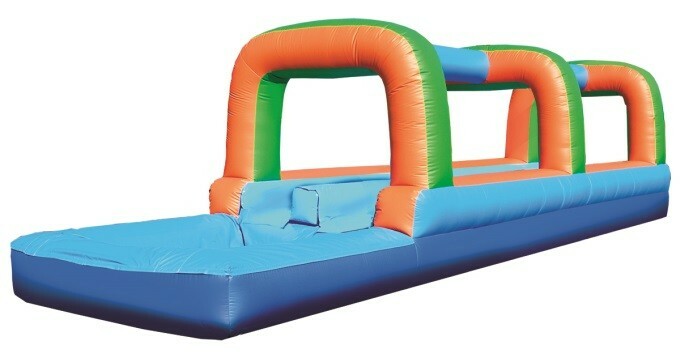 Our 35 foot long inflatable two lane slide allows two participants to race down the two sliding lanes until they glide into the attached 9' pool. Water mist from above keeps the two lanes wet and fast. Have a blast! On your mark, get set, GO !! Race a competitor to see who can run and slide the 35 feet of ground level slide and be the first one into the pool at the end. Avg. rental rate is 150.00/day. Requires hookup to an outdoor water hose.